So you’ve been recently seeing tiny white bugs in soil. What are they actually? How much damage can they bring to plants? Tiny white bugs in the soil are obviously pests that you must remove and control. This infestation alone can immediately harm the life of your plants regardless of their species. Let’s learn what these bugs are and how you can ward them off from your soil. These creatures might be too small being the size of crumbles but they aren’t that hard to find. You can easily spot their white color in the dark or reddish brown soil. Despite their tiny size, these bugs quickly grow and multiply risking greater damage in your plants if not addressed immediately. The tiny white bugs in soil we’re talking about here do not refer to a singular type of species. It can be a lot of different insects that are similar to ticks, worms and spiders. Such bugs come from different locations. For instance, a mite called oribatid typically thrives in soil of wooded areas. This mechanically assists in breaking down organic matter, which is beneficial in decomposition. However, they can easily move from one area to another, such as in decks, patios and of course lawns where they can live in soil and ultimately feed themselves in plants. Another example among tiny white bugs in soil is collembolan arthropods, which is most known as springtails. This is actually a very typical mite that makes plants their favorite habitants. Although they do not harm plants, these should be warded off. Since most white bugs and mites love compost and debris, it’s best to get rid of anything that easily decomposes. You also have to keep bins far away from your plants. That’s just one way on how you can eliminate insects in soil and plants. Speaking of removal, let’s learn different ways on how you can avoid and control tiny white bugs in soil. Do not create a garden no matter how small if you are not able to regularly clean and maintain it. The number one priority of every gardener is taking care of his own garden. Lawns must be consistently mowed, weeds are removed, fallen leaves are collected, plants are regularly watered, etc. Part of the maintenance is cleaning the whole surroundings. You must go over the fences, trees and other areas to look for debris that must be removed or cut off. 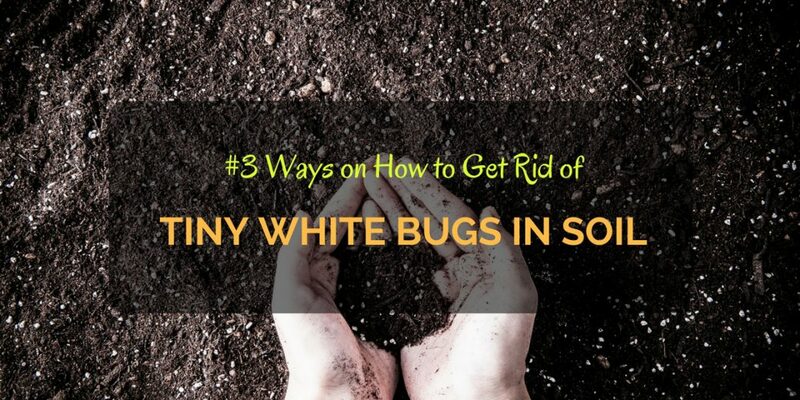 As you know, such tiny white bugs in soil appear anytime anywhere when there are composts or decomposable stuff, such as broken woods, fruits and vegetables. Practically, the best option to deal with tiny white bugs in soil is to spray insecticides all over the affected plants. But do you just grab any insecticide that you first see in the grocery store shelves? Of course not, you must determine which brand is best. Insecticides are not that expensive but with the selection available prices vary. Some are very affordable but not that effective, while others may be a bit pricey yet reliable in solving your garden problem. There are also differences when it comes to the ingredients. You may choose a popular chemically formulated brand or go for something more organic and environmental friendly. Another practical option you may want to consider is make your own homemade insecticide. Such do-it-yourself (DIY) household item does not only help you spend less amount of money but also gives you an easier access. This is also a natural solution as there’s no trace of chemical or toxic ingredients used. Simply use a base soap or a dishwashing liquid, vinegar or lemon juice and water. When dealing with tiny white bugs in soil, there may be a time to completely remove all soil in the pot or planter and replace with a new one. This is one easy way to get rid of the insects but a little bit demanding. You have to keep your plants and roots intact and be extra careful when transplanting. In such a case, this is best suited if you cannot quickly control the infestation of mites. If you plan to change the soil, it may be also a good idea to use a new pot. Unless you thoroughly clean the old pot, a new planter assures pest-free. These are the simple solutions on how you can fix tiny white bugs in soil and in plants. Hello! I’m Quang Hoang and Grow Gardener is my little nook for all the adventures, and occasional misadventures, on my journey in gardening! As I continue to awaken life in little seeds and struggle to keep flora alive, I’ll be here sharing with all of you what I’ve learned! Join me in my little garden, and let’s grow together.